WordPress already has a lot of in built SEO support, yet you need to opt for professional seo services, if you want to get the best out of your WordPress site. Seo Company Singapore has been delivering the finest WordPress seo services and the quality of work that we have done is exemplary. We will help our clients in earning the highest ranks and climbing to the top of search engines. The templates that you are using at WordPress need to be optimized for seo purpose. 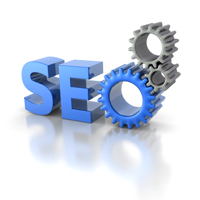 We will optimize the titles on the basis of seo and we create bread crumbs as well. The ping services are inserted and the content is optimized on the lines of seo as well. Doing all this ensures that your WordPress site is likely to climb to the top of the search engine ranks. There are a lot of advanced features too that we incorporate for our clients. We remove duplicate contents using robot.txt as duplicate contents can harm the reputation of your site. We add social bookmarking options and even create pagination as well. There are a lot of off site seo strategies that we choose to implement as well. The unnecessary archives need to be disabled too. Hence, if you are looking to improve the search engine rankings, you can fall back on the reliable WordPress services of seo company Singapore.